A lot of people believe joining a political party means getting together and advancing policies and ideas that they collectively believe in. The truth is - the more important part about joining a political party is a willingness or a flexibility in advancing policies and ideas that you do not believe in. There's an inherit horse trading in the whole exercise - "if you support my policy, I'll support yours..."
That's a fairly simplistic take admittedly, but that's what it comes down to. What do you do when the party you support proposes something you do not believe in? This is understood by most partisans, not necessarily the public in general. If you're currently observing the federal Conservative leadership race, you will see that Conservative leadership candidates are currently attacking each other with, what could be argued, the same vigour that they'd attack a Liberal opponent. This has some Conservative partisans worried about breaking apart the big tent. Conceivably, one of these gentlemen could become Conservative Party leader. Does Michelle change her viewpoints and advance the policies these two individuals propose for the good of the party? They all agree that taxes on the wealthy are too high, but is that enough to hold the tent together? That's for her to decide - and that's often a more crucial decision. Sometimes partisans rebel - cross the floor. More often they "retire" or "resign" for other reasons. Until 2007, I was a proud Ontario Progressive Conservative and a reluctant federal Conservative. It became harder and harder to remain a Conservative partisan when I was debating contentious social issues. I did not want to attend another convention or policy workshop where someone had to have their say on why there were too many abortions or why we can't just lock up the homeless. Private health care! Freer access to guns! During the provincial election of 2007, I opposed the Ontario PC Party's plan to extend tax credits to religious schools in the province quietly, but publicly I supported the "fairness in education" movement. That was, until John Tory said, "evolution was just a theory" and creationism should be taught - then I was out. Patrick Brown, in Ontario, is winning praise for bringing the provincial Conservatives to the centre. I thought John Tory had done that, but he proved me wrong. Once bitten, twice shy so the saying goes. While I'm a fiscal conservative, I'm more flexible on support for policies around fiscal responsibility than I am about social conscience. I'd rather disagree on fiscal policy, than have to swallow and advance socially conservative policy. To that end - I think a modern, centrist Conservative Party is a good thing for Canadian politics and for Canada in general. I think the ideals of progressive conservatism and the British tradition of Toryism is also a good thing - freedom to succeed, provided you help others. To that end, if I were a Conservative, I'd be supporting Michael Chong. Take that for what you will. There are a lot of people out applauding Pickering City Council's decision to appoint rather than hold a by-election to fill the vacant Ward 3 council seat because - as the argument goes - holding a by-election serves no one because it's expensive, it'd be held during an inclement time of the year, and voter turnout is low. Why bother? Well, when you put it that way - no wonder no one turns up to vote at *any* time. It sounds positively dreadful. Voting seems to be an awful inconvenience to be avoided at all costs. Elections cost money. Worse? It costs taxpayer's money and no good comes from spending any money on something that somebody has to participate in. You have to pay people to set up the boxes, count the ballots, rent the spaces, publish the results. All, to elect someone who is ostensibly required to make the decision on how to spend taxpayer's money. If you could just bypass that whole election process, wouldn't that be better? Saves money. Cuts out the middleman. You may have heard the old joke - Canada has two seasons, winter and July. Every election and by-election ever held in this country is at the wrong time of the year depending on who you ask. You can't hold them during the summer, because everybody's at the cottage. You can't hold them during the winter, because it might snow. Don't hold an election leading up to or immediately following a long weekend either because reasons. Don't hold an election close to another election happening elsewhere in the same or adjacent area. By my count, there's about 4 hours in June ideal for an election in Canada. We spend a great deal of time convincing people how awful elections are. I'm expanding on a Facebook rant I went on. The leaders of Leave campaign are weak and have showed their cards. They made unfounded threats, invoked emotional outbursts, dire warnings, and impressed upon voters the immediacy of the need to withdraw from the European Union. Why haven't they insisted on invoking Article 50? Why are they letting the Prime Minister and the governing Conservatives off the hook till Cameron's successor is chosen? They have a clear mandate - why the delay? Why do they want a sober second opportunity to renegotiate their place in the Union? Why do you have to remain quiet because they won? 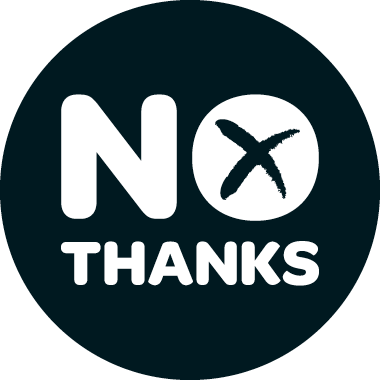 The Scots, who held an independence referendum not too long ago, were promised continued EU membership. What now? Screw it. And, screw the people that say, "Well, let it go .. the people have spoken." Contrary to public opinion, shutting up because you lost is *not* democracy. Do you think the leadership and campaigners for Leave would be quiet had Remain won? Not a chance. Sign the petitions. Join the Liberal Democrats. Move to Canada. Start a blog. Make ‪#‎WeAreFucked‬ trend on Twitter. They made the bed, they get to lie in it. There's liberation in being in Opposition and being right. The proposal, adopted Saturday by the party's national board during a three-hour meeting with the prime minister in Halifax, would do away entirely with the long-held principle that only dues-paying, card-carrying members are entitled to take part in party activities. Reviewing this preliminary release, I am certainly in favour of some of the proposed changes and cautiously optimistic about the rest. I've always long supported open conventions, especially when developing policy. I think more consensus brought about by talking with more people is a good thing. Having run and lost delegate selection meetings, it can be deflating when you want to participate. I think the challenge will be in the open nominations part. I think it's going to have the unintended consequence of calling for more transparency in the party's Green Light process. Not necessarily a bad thing. That said - I'm not entirely sure $10 is an insurmountable barrier to openness. It represents a commitment to the ideals of the party. The Conservative Party, in contrast, raised their membership fee to $25 to prevent openness and restrict access to reforming the party. I'm presuming delegates will be presented with the formal proposal prior to the convention and I'll review the details then. 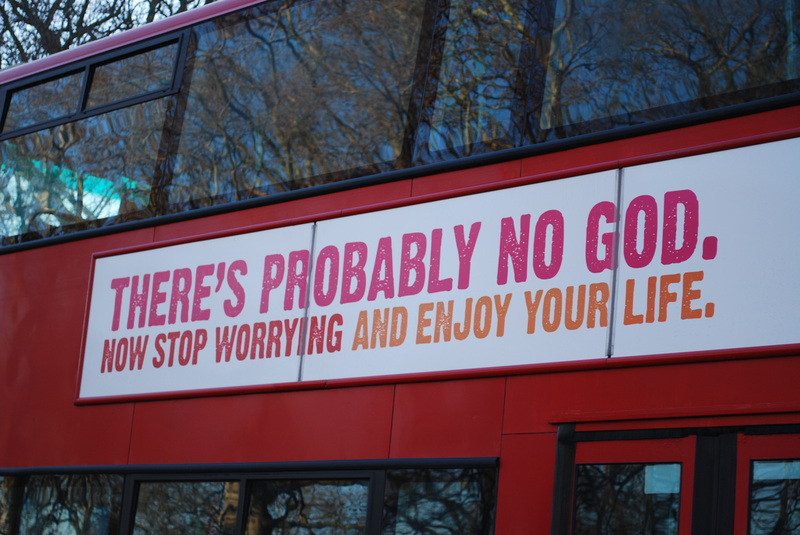 Atheists and humanists are increasingly being targeted as distinct minorities in “hate campaigns” across the globe, according to a new report which found that religious and political leaders are ratcheting up rhetoric against those who believe there is no God. The Freedom of Thought Report, which rates every country in the world for anti-atheist persecution, found that almost all countries discriminate against the non-religious, in some cases through religious privilege or legal exemption. Canada's blasphemous libel law, religious tax exemptions, and public funding of religious schools made the report (among others). Despite what should be strong constitutional protections for freedom of thought and expression, significant religious privileges are in force [in Canada], both nationally and in several of its ten provinces and three territories. I was pleased to see the Liberal Party of Canada (Alberta) propose a resolution to repeal Canada's blasphemous libel law. I hope to see it on the Winnipeg biennial floor. It's certainly far worse elsewhere in the world, no question. Doesn't mean there isn't work to be done here. Hopefully, we can remove some of these policies. Unadulterated arrogance was the reason for the NDP election loss - and it`s on full display in this article. They point to everyone else but themselves for their loss. “The backroom lobbyists moved over to the Trudeau team,” [Charlie Angus] wrote. “Corporate Canada is a more content place today." “I think maybe Canadians weren’t ready for us, didn’t understand some of the differences between the NDP and the Liberals,” [former NDP MP, Megan Leslie] said. Strategic voting was to blame. The corporate elite was to blame. Our platform and our team was perfect. Everybody but the NDP was to blame. Although, to be fair, some are more than ready to step up and slap anybody who publicly criticizes the party. Perhaps that's why we see such fervent partisanship. Four years in the wilderness will be good for them. 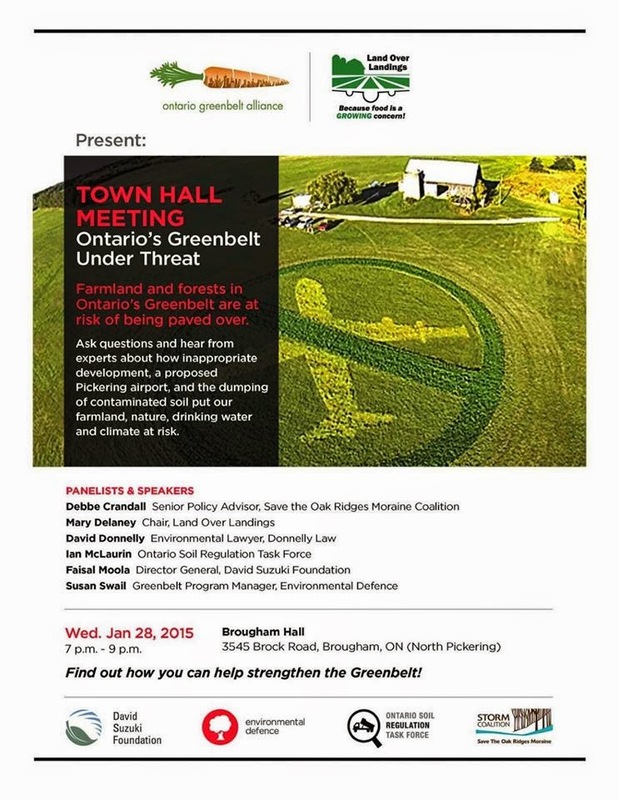 In partnership with Ontario Greenbelt Alliance, Land Over Landings presents a Town Hall Meeting to expose the threats to Ontario's Greenbelt. January 28th - 7 - 9 pm, Brougham Town Hall, Brougham, Ontario. Pickering-Uxbridge will be holding the Liberal Party nomination on January 29th at the Pickering Recreation Complex [meeting notice, PDF]. There are three contestants seeking the nomination. I am supporting Jennifer O'Connell and think Jennifer would be a tremendous representative for Pickering-Uxbridge and a great addition to Justin Trudeau's team as a Liberal Member of Parliament. Jennifer has served the city of Pickering as a city and regional councillor for the past eight years and has a strong record of winning elections. She is a tireless advocate for progressive issues while serving on Council as well as being a tenacious advocate for the environment. 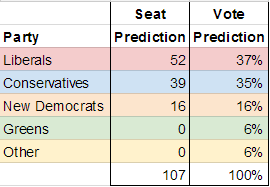 The Conservative candidate, Corneliu Chisu, has been an ineffectual MP for Pickering-Scarborough East, and will likely prove to be equally ineffectual for Pickering-Uxbridge. We need a strong voice for the residents of Pickering and Uxbridge in Ottawa. You can read more about Jennifer at her website. It's not often that two of my favourite things collide, but somebody got politics in my beer and beer in my politics. People who know me, know that I enjoy trying and sampling new beer. I like variety and I think we're living in a tremendous time when lots of new craft beer options exist around the province. In Ontario, there are two entities that are allowed to widely distribute alcohol - the government agency Liquor Control Board of Ontario (LCBO) and through a special arrangement with the LCBO, the Beer Store. Under Ontario's Liquor Control Act, Brewers Retail is the only retailer permitted to sell beer for off-site consumption, except for stores on the site of a brewery, locations of the provincial government-owned Liquor Control Board of Ontario (LCBO), and LCBO-authorized agency stores in certain smaller communities.The act and the company's articles of incorporation further stipulate that Brewers Retail cannot sell "hard liquor" (spirits), or consumer goods (like groceries). It has since been revealed that the Beer Store entered into a fairly lucrative arrangement with the LCBO via the Ontario Progressive Conservatives to be the number one provider of beer in the province. Essentially, the agreement binds the LCBO from selling beer in packages larger than six-packs. Citizens were outraged, and the Ontario Liberal government vowed to review the agreement. To get ahead of the story, the Beer Store proposed to change the agreement to allow small brewers a small part in ownership and a savings on listing fees for their products ... if they stop whining. The problem? It doesn't change the fundamental problem with beer distribution in the province. The three foreign-owned breweries that currently own the Beer Store (MolsonCoors, AB-InBev, and Sapporo) would still retain majority ownership status and thus would still enjoy majority control of the company. They'll be able to pay lip service to critics and the craft brewers that they did something. The foreign-owned breweries would retained 80% control of the board. Distribution of craft beer at the "free" rate to member craft brewers would be limited to the five closest retail locations. If you're an Ottawa craft brewer, it will still cost you to distribute in a Toronto, Windsor or Thunder Bay Beer Store. Craft brewers with the means or desire to distribute beyond their local area of influence should be able to without government-imposed hurdles to do so. The Beer Store should not be the sole private wide-area distribution network in the province. This agreement does nothing to eliminate this unfair arrangement. 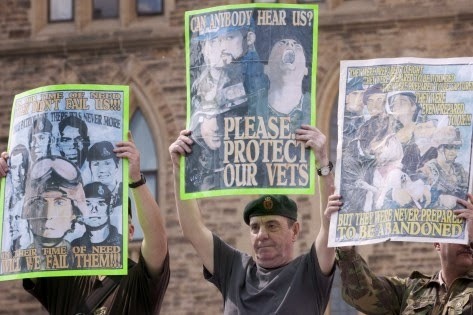 Canada's veterans rejoiced when Julian Fantino was finally booted from Veterans Affairs on January 5. Mr. Fantino was replaced by Durham Conservative MP, Erin O'Toole. Ostensibly, a sound pick - a former RCAF officer. Someone with such a background, you'd think would bring a sympathetic ear to what veterans need. You would be forgiven if you had forgotten that O'Toole fully parroted Julian Fantino's hard line stance against honouring veterans benefits at every turn - fully endorsing the government's inaction in the care of Canada's veterans. You would argue that it was up to O'Toole to simply toe the party line and publicly support the previous minister. You would hope his first act would have been to set a new course and a new direction for the troubled ministry. The new minister has decided not to listen to certain veterans advocacy groups - especially, it seems, if they do not follow the party line that everything is fine with Veterans Affairs. Conservatives have continuously let down veterans since coming to power. We've since learned that the Conservative Party let $1.1 billion (with a 'B') lapse in veteran funding. Essentially, Veterans Affairs had $1.1 billion budgeted to spend on veterans' programs and the ministry did not spend it. Simply put - the demand for services was there, but for whatever reason, did not spend the money. Now, Veterans Affairs is on the attack. So - veterans on waiting lists for months and years for programs, or - worse - denied programs are now told to get "off the dole" and get back to work. Politicians eager to send Canadians into war zones should be fully prepared to support them when they come home. I almost say it every year so I'm going to do it again. 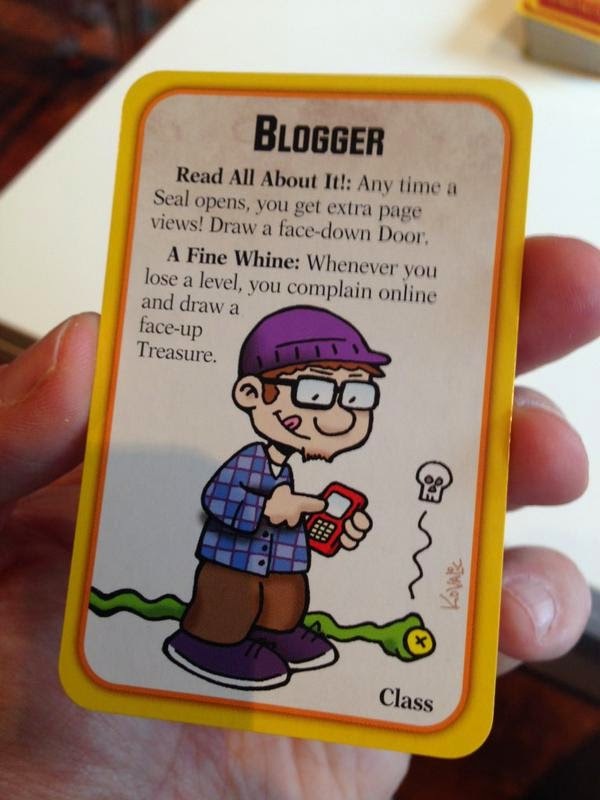 I resolve to blog more. With Twitter and Facebook, I can quickly get my thoughts out really quick - opening the vent as it were. I think where I'll try to make it easier to blog is I'll encapsulate a couple of those quick thoughts into blog posts. I went on a bit of a tear today on Twitter in support of mandatory voting, spurred somewhat by the discussion happening at the Canada 2020 conference in Ottawa. Voter participation in Canadian elections is abysmal and with municipal elections happening across Ontario, it's time to revisit mandatory voting. If you're a voter, good for you. You probably have an opinion on mandatory voting, but I'm not addressing you right now. I'd like to take a stab at why mandatory voting would be good for motivating non-voters. I believe there are two general types of non-voter. Single issue-based or politically motivated individuals dissatisfied by the status quo. They are passionate about a cause or a series of issues, but do not see their particular viewpoints reflected in the current political options come election time. They choose not to vote for fear of compromising on a particular belief. The voter who sees voting as a nuisance, inconvenient, and/or unimportant. They are not partisan or politically motivated; likely not involved with discussion or monitoring of political issues. Mandatory voting, I argue, will engage both groups in a positive way for a number of reasons. All political parties are engaging in strategies designed to maximize getting out the vote (GOTV) for their parties using data collection and analysis. The objective? In a world of diminishing resources, political parties are using statistics to identify a particular individual as a supporter or not. That in turn, determines whether or not a particular individual should be targets of literature, campaign event invites, or fundraising attempts. In essence, a political party is looking to save time and resources by not engaging with lost causes and they certainly don't want to remind voters for their opponents that there's an election going on. Political party engagement then is limited to likely partisan voters, and those voters likely to vote for the engaging political party. If everybody had to vote, this engagement would need to be more broad based. There will still be data analysis, but more effort would be to create a message or platform that more broadly reflected the majority of the electorate rather than simple motivation of a potential base. If you're politically active, but dissatisfied with the status quo, requires you to offer an alternative in order to change the status quo. There's a disincentive to do so today, because the perception is there is an ingrained tendency to vote for incumbents and traditional political parties which - as mentioned above - tailors messages to motivate their own likely base and not to reach a broad consensus. Further, the current electoral system favours just beating your closest competition. I believe mandatory voting will create an compulsion for voters to research issues. If you vote, you're invested in the outcome - it's best to then vote for what you think is the right option for you. If you cannot find the right option, you vote none of the above, and have your vote recorded. If you want to vote for an option that doesn't exist, you will be motivated to create the option. In democratic countries, we try to steer clear of overtly making people do anything, but we do it all the time when the outcome is for the greater good. We agree taxation is good and it too is mandatory. We agree that jury duty is good and it too is mandatory. 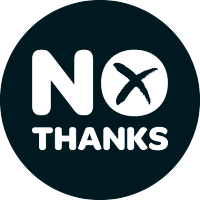 We've tried the "optional" voting method and we've tried to motivate people dissatisfied with the status quo to run to change. It hasn't worked. We need to make voting mandatory. Land Over Landings have posted a petition to tell Stephen Harper to stop the Pickering airport development citing the following points. Building an unneeded airport is an inexcusable waste of taxpayers’ money. 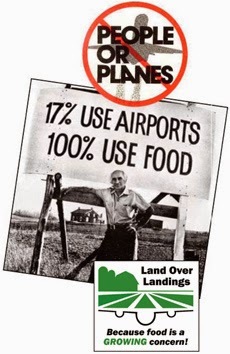 Putting an airport or other development on foodland is grossly irresponsible; farmland is permanently destroyed by development. Such development would eliminate important natural habitat and essential wildlife corridors adjacent to the new Rouge National Urban Park. Foodland close to Canada’s largest and fastest-growing city must be fiercely protected to ensure future food security. No government has a right to deprive future generations of an irreplaceable food and freshwater resource. It's an exciting day to be a Liberal and to be a Liberal blogger. If you're at all familiar with Canadian political blogging, then you recognize Jason Cherniak's name. I've met Jason several times in the course of my blogging days. When I joined the Liberal Party, I had the great fortune seeing Jason advocate for many progressive policies - most recently, the proposal for a national transit strategy. He is always committed to seeing policy debated and driven to see progressive policy accepted by the party. In the blogging realm, Jason founded Liblogs - the blog aggregator you may have clicked this article from. Jason recognized the need for like-minded Liberals to share their blog posts with each other. You can read more about Jason at his website. The people of this new riding would be greatly served by having Jason Cherniak in Ottawa. It's no surprise that I'm supporting John Henry for re-election as Mayor of Oshawa. He's an incredible mayor. New jobs, new industries, new development, a growing economy, home to great retail, and a vibrant community spirit. These are the hallmarks of John's tenure as mayor. I'll let him describe the incredible growth the city has undergone Rick Mercer-style. 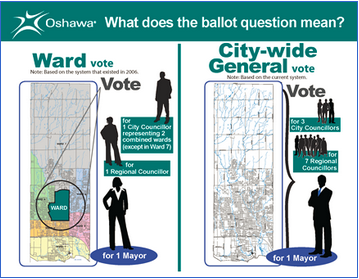 Those familiar with Oshawa politics would never suggest that it's boring. John has demonstrated constant leadership in controlling errant behaviour in council and defending the city against spurious claims that the council is acting in a secretive fashion. John focuses solely on the well-being of the city and conducting the business of governance. On October 27th, re-elect John Henry, Mayor of Oshawa. 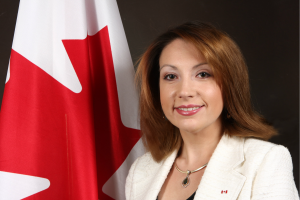 I do not often blog about Brant politics, but when I do, it's to support Danielle Takacs and her bid to secure the Liberal nomination in the riding. Danielle is a community leader and a passionate Liberal. I've had the opportunity to meet her and hear her speak on the issues. As an advocate for the protection of Class 1 farmland in Ontario, I appreciate Danielle's firm support for Canada's farmers and the sustainability of Canada's local farmers. If that weren't enough, she's a tireless advocate for veterans, Aboriginal rights, and strengthening local economies. Danielle is a former Liberal blogger, Galloping Around the Golden Horseshoe, so she clearly understands the importance of citizen media and the role it plays in the communication of ideas. You can read more about Danielle on her campaign website. 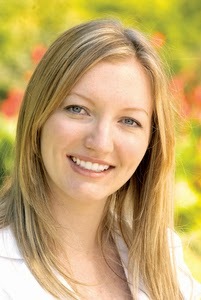 Brant would be well served by Danielle Takacs, not only as their Liberal candidate, but as their Member of Parliament. On October 27, all of Ontario's municipalities will hold elections to elect (or re-elect) mayors, councillors, and school trustees. In order to vote in the election, you must meet the two "standard" criteria - be at least 18 and a Canadian citizen. Further, you must be eligible to vote in the municipality. Who is eligible? Your residence is where you live. If you live in a municipality, then you are eligible to vote in that municipality’s election. You are only allowed to have one residence. If you live in one municipality, and own or rent property in another municipality, you are eligible to vote in each municipality’s election. 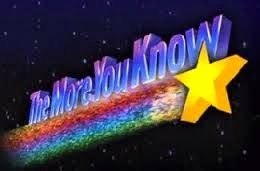 If your spouse qualifies as a non-resident elector in a municipality, then you can also vote in that municipality’s election. That`s right. You do not need to be a resident of the municipality in order to be eligible to vote in their election. As a property owner or renter, you have the right to vote for the municipal government. You can confirm you`re on the list of electors by checking VoterLookup.ca. Check both your residence and your non-resident property addresses. 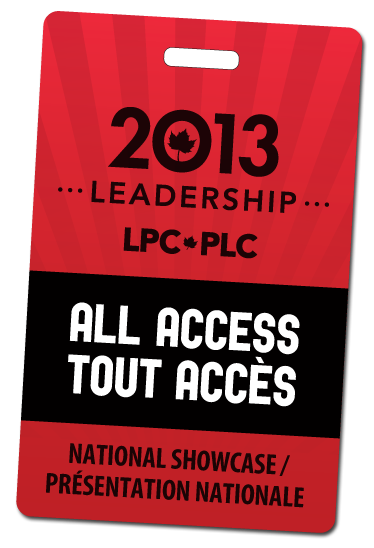 This September, the Liberal Party of Canada (Ontario) will hold its general meeting in Markham, Ontario. I have submitted my intent to stand as a delegate. The Liberal brand is strong in Canada - Justin Trudeau has energized Canadians. Delegates to the meeting will elect a new executive. 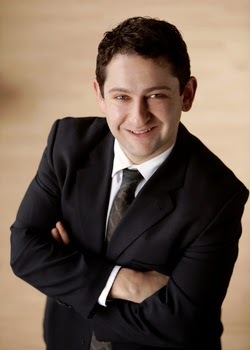 I'm excited to endorse Jeff Jedras for the position of VP Communications, Liberal Party of Canada (Ontario). I've known Jeff for a few years now, first through blogging and then through various Liberal events. Jeff is an extremely committed and passionate Liberal - and with no word of exaggeration - every picture I've seen of him working a campaign has him working phones, coaching volunteers, or rallying support around the candidate. He has worked to keep the Liberal Party firmly grounded with the grassroots and with the blogging community. He has built a career out of writing and communicating - including contributions to the National Post - and has pushed the party to communicate open and transparently. He served as the campaign manager for Liberal leadership candidate Deborah Coyne and Ontario Liberal candidate, Nancy Leblanc. You can learn more about Jeff at his site, JeffJedras.com, follow him on Twitter (@JeffJedras), or you can like his Facebook campaign page. This was my original prediction for tonight's election results. We'll see how well I did! As we've previously reviewed on this blog, the Harper Government™ and their treatment of Canada's veterans is nothing short of disgusting. To suggest that the Conservative Minister for Veterans Affairs, Julian Fantino, is the worst Veterans Affairs minister Canada has ever had might be putting it mildly. Yesterday, Julian Fantino defended the government's decision to promote Veterans Affairs via Twitter at the total cost of $100,000 while still defending the government's record of not providing benefits to the Last Post Fund, denying veterans benefits, and closing Veterans Affairs offices. Adding repeated insult to injury, the promoted tweet advertise the very services unfairly denied, according to the military ombudsman. I had not seen one of these promoted tweets, until I did a search on my own tweets about veterans. 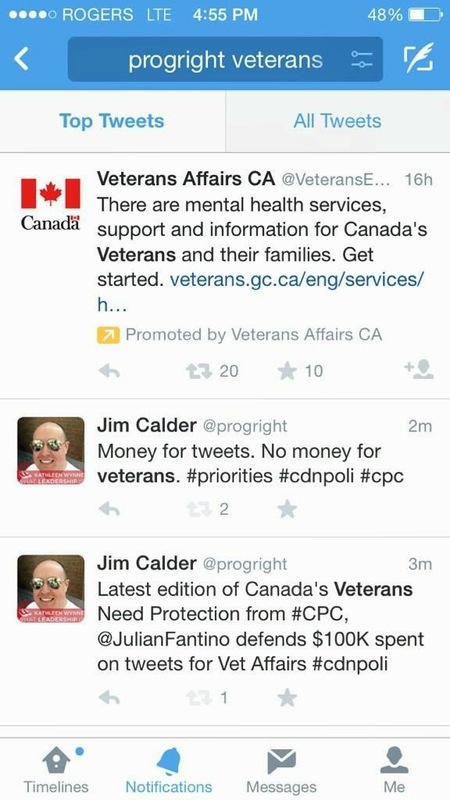 There's money for tweets, but no money for veterans. 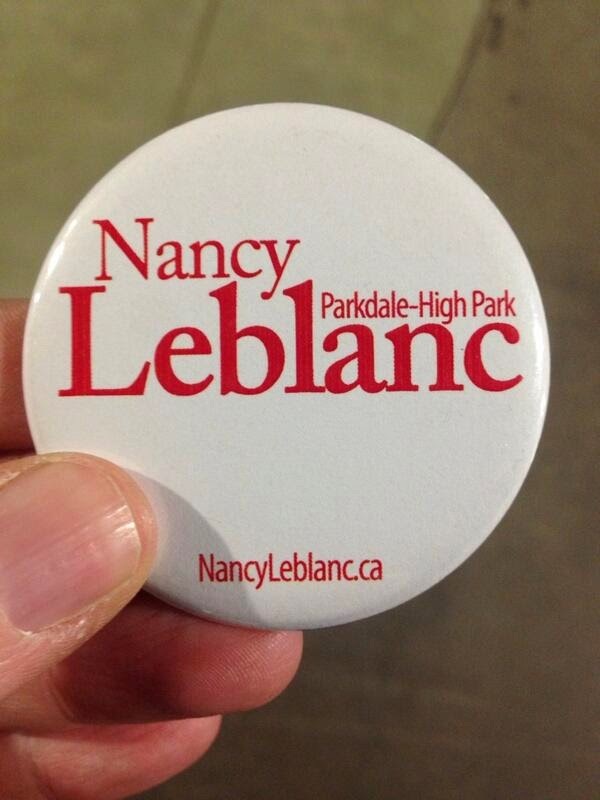 Congratulations are in order for fellow blogger, Nancy Leblanc, who will be the Ontario Liberal candidate for the riding of Parkdale-High Park in the next provincial election. Her nomination becomes official on May 7th! My endorsement should come as no surprise. Nancy is a committed Liberal, a committed progressive activist, and the residents of the riding will be well-served by a great candidate like Nancy. Her campaign website is at NancyLeblanc.ca.